Pinterest FourSquare YouTube Flickr Twitter Facebook Google+ LinkedIn Tumblr Aretheyallstartingtoblurtogetherandoverwhelmyou? 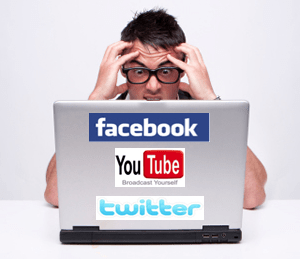 The rapid pace of the social media landscape is exciting and definitely overwhelming. There are so many opportunities (and the majority of them low cost) but so few that end up with genuine results for your brand. The impulse to throw your hat into every single ring is understandable. After all, you don’t want to be the brand that doesn’t have a Facebook page when every competitor has already surpassed 10k fans. But you also don’t want to be the brand that half-heartedly sets up a page on a platform where none of your customers hang out and lets the digital weeds grow. Remember, just having presence on a social media platform does NOT make it a strategy. A strategy is developing said presence, growing your user base, engaging and exciting your fans, and seeing real ROI – whether it’s in the form of sales, biz dev or good ole fashioned brand building. Research is critical to understanding whether a platform is right for you. Perhaps you have a product that is geared toward teenage boys. Then maybe Pinterest isn’t where you should put all of your energy. Know what each platform offers, what people are doing on them (e.g. if Pinterest is for what people want to do, then Facebook/FourSquare is what people are doing) and assess it for your brand. If you’re not a location-based brand, then maybe FourSquare isn’t for you. p.s. We have some good Pinterest tips for you here. Knowing the user base of every emerging social media platform and knowing what that user base is doing on the platform is key to your strategy. If your service or product doesn’t fit, then keep tabs on the platform as it is constantly evolving and can shift to eventually meet your needs, but don’t spend energy, resources and time on a platform where you don’t have any customers or engaged user base. Unless you have an unlimited budget (in which case, you are Apple), you’re not going to have enough community managers and PR professionals to truly leverage all of these social media platforms. Focus on the most important ones for your audience, and the ones that make the most sense for your brand. To use a dreaded phrase, keep a finger on the pulse but don’t expend the resources that will be better suited to more productive platforms. Mere presence on social media platforms is not a strategy. It’s not even good branding. It shows a lack of sophistication both around your brand and around the social media platform. It’s certainly a fine balance between getting swept up in media hype around the latest, greatest thing that will eventually evaporate in a matter of months, and being tragically left behind. So just take a deep breath, relax, and start using these mediums, talk to the folks who are also experimenting with them and do your research. Once you know it’s the right place for your brand, you can then dedicate your creativity and budget without feeling stretched thin. And don’t forget, today’s Pinterest might just be tomorrow’s Friendster. What is “Kihon?” The word is a Japanese term referring to mastering the basics and fundamentals of martial arts. For Kihon Games, the term is a philosophy, the way that Kihon approaches their craft. This dedication to quality and creativity led to Kihon’s investment from the venerated Rick Thompson and his Signia Ventures. 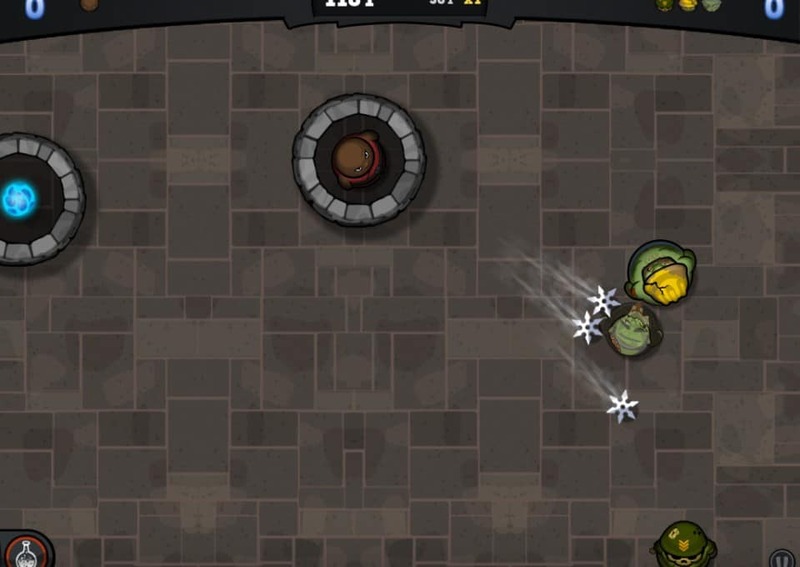 We are proud to work with Kihon Games and in this interview with the App Marketing Podcast, CEO Mark Grossnickle offers insight into Kihon’s process, his vision, and the surprising genesis of Kihon’s first title, the popular game “Baby Monkey (Going Backwards on a Pig),” which recently surpassed half a million downloads. Along the way, Grossnickle explains his career path, and (brag alert) Change Communications gets a nice shoutout around the 18:00 mark! Thanks, Mark! It’s been our pleasure. 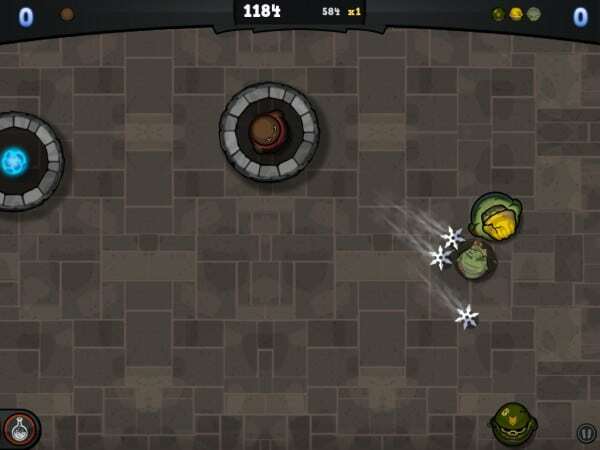 Kihon’s upcoming title, “Dojo Danger,” will hit the Apple store in Q2. This week, we got great news for three of our beloved clients so we’re celebrating with a cocktail. Our first official client ever, eCert, won a well-deserved recognition, winning SC magazine’s award for Best Rookie Security Company. It’s an honor to be nominated but it’s way more awesome to win. 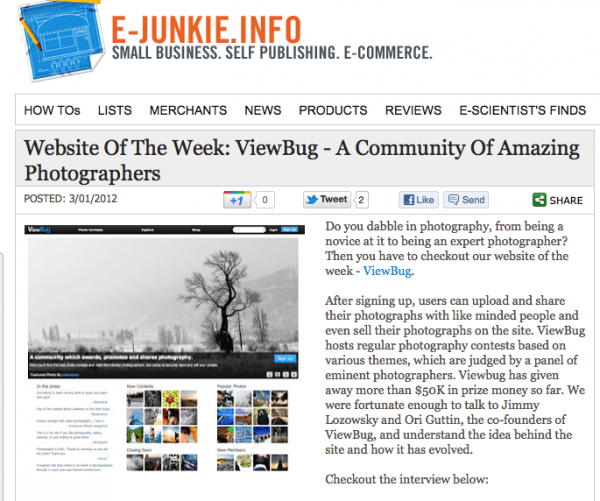 Then, one of our newer, exciting clients, ViewBug, was featured as the website of the week by e-junkie.com, highlighting the passion that is the foundation of ViewBug. The founders of ViewBug are two energetic entrepreneurs with a love for photography and a greater love for community. Getting to tell their story is absolutely thrilling. 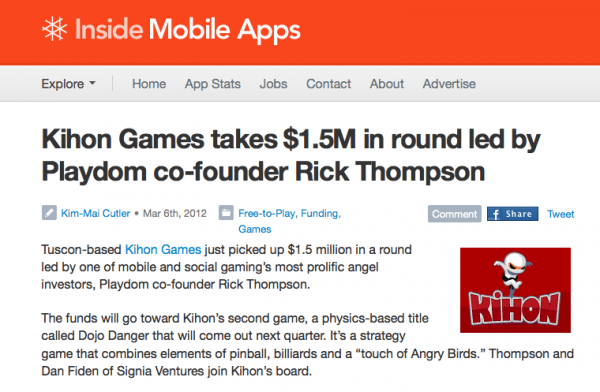 And lastly, Kihon Games, the team that brought “Baby Monkey (Going Backwards on a Pig)” to your iPhone, announced a major investment from a revered game industry vet with impeccable taste. The common thread for all three companies? They all love doing what they’re doing. Sound simple enough? It is, but it’s shocking how few people are actually doing it. So we salute eCert, Kihon and ViewBug for not only loving what they do but being darn good at it, too.